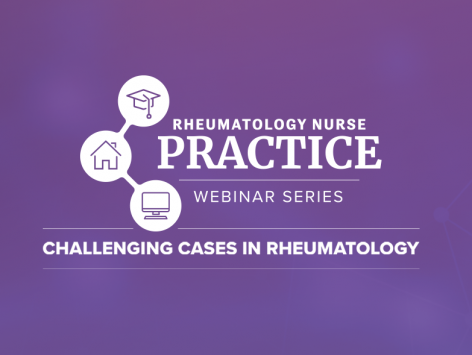 This activity has been designed to meet the educational needs of rheumatology nurses, nurse practitioners, and physician assistants. Other healthcare providers may also participate. Rheumatology Nurses Society is accredited with distinction as a provider of continuing nursing education by the American Nurses Credentialing Center’s Commission on Accreditation (Provider No. P0500). Rheumatology Nurses Society designates this educational activity for 0.25 contact hours (0.25 pharmacotherapeutic contact hours). According to the disclosure policy of RNS, all faculty, planning committee members, editors, managers and other individuals who are in a position to control content are required to disclose any relevant relationships with any commercial interests related to this activity. The existence of these interests or relationships is not viewed as implying bias or decreasing the value of the presentation. All educational materials are reviewed for fair balance, scientific objectivity and levels of evidence. Carolyn Zic, RN, BSN, CPN has disclosed that she does not have any relevant financial relationships specific to the subject matter of the content of the activity. Kim Cheramie, MSN, RN-BC, Lead Nurse Planner, Rheumatology Nurses Society, has disclosed that she does not have any relevant financial relationships specific to the subject matter of the content of the activity. Scott Kober, MBA, President, MedCaseWriter, has disclosed that he does not have any relevant financial relationships specific to the subject matter of the content of the activity. Kevin Lyons, Executive Director of the Rheumatology Nurses Society and Chief Executive Officer of Lyons Den Solutions, LLC, has disclosed that he does not have any relevant financial relationships specific to the subject matter of the content of the activity. This activity will not include a discussion of off-label or investigational use of products. There are no fees to participate in the activity. Participants must review the activity information including the learning objectives and disclosure statements, as well as the content of the activity. To receive CNE contact hours for your participation, please complete the post-test (achieving a passing grade of 75% or greater) and program evaluation. Your certificate can be printed immediately. 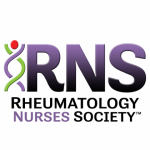 The Rheumatology Nurses Society (RNS) is a professional organization committed to empowering nurses through professional development and education to benefit its members, patients, family, and community.